You’re starting a new business. Congratulations! Once you’ve decided on the space you’re going to occupy, be sure to turn to Kuhn Flooring for your business flooring solutions. Kuhn Flooring works directly with contractors and architects to specify commercial products and offers commercial leasing. Furthermore, we continue to specialize in projects ranging from small retail jobs to large commercial flooring solutions. Depending on the ambiance you’re trying to create, you might find that hardwood engineered flooring is the way to go. Be sure to visit our flooring gallery to explore all of your options and find a Florida flooring solution that’s just right for the look and feel that you’re after. You might find what you want in our vinyl flooring gallery, as well. Our scope of work includes design and installation of a variety of flooring products while highlighting quality control, operational efficiency, and superior customer service as a full-service flooring provider. Our professional installers and experienced craftsmen will provide complete satisfaction. 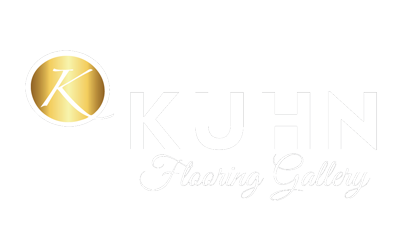 Additionally, Kuhn Flooring Gallery guarantees a one year standard warranty on all installations so as to best satisfy our customers. With professional project management and a qualified staff, Kuhn Flooring Gallery is able to meet the unique needs of a variety of customers for flooring in Boca Raton and other communities. Kuhn Flooring Gallery has the unique ability to meet your needs at any stage of the development process. Contact us today!